The church staff and pastors are still trying to accumulate data on the effects of the floods on our church family. Please call us at 615-826-6222 if we are not aware of your situation. The church property sustained no damage. 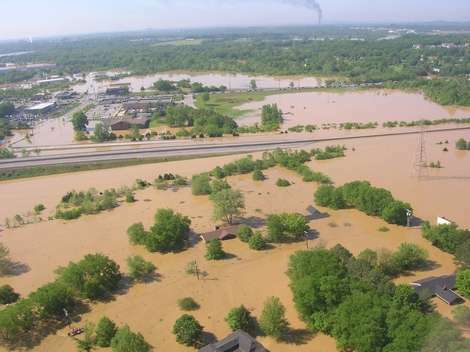 – As of Tuesday, the only major loss we have discovered happened to Charles and Ann Watson, who have lost both of their vehicles, and are not able to return to their home in Old Hickory until the water recedes. According to Charles, he anticipates that up to a foot of water may have accumulated in their home. Many others in the church have sustained less invasive water damage. We will be sending a team to help the Watsons. Please let me know if you want to help with that. I drove the streets surrounding our church this morning, and did not see any active relief work taking place with our immediate neighbors. – 40 to 50 homes under water in Hendersonville. – Numerous homes with major water damage. – Drakes Creek & Memorial Park have major damage, as they are in flood plains. The city is targeting May 15th as a community clean up day in the parks. We’ll keep you informed on how we can help in that effort. – A Red Cross shelter has been set up at First Baptist Church Hendersonville. Most of those arriving are from other parts of the region, as most Sumner County residents seem to have found their own arrangements. – So far, there is no loss of life known about in Sumner County. I spoke Steve Oldham (First Nazarene Gallatin) who is an officer with the Gallatin Ministerial Alliance. Their church had sustained flood damage that had consumed his efforts. There had been a shelter at the Gallatin Civic Center, but he was not sure of the status now. I am waiting for return call from other sources of information in Gallatin. The Convoy of Hope are setting up at Living To Go Church in the Rivergate area. They are making evaluations today and have started a feeding program. They expect the bulk of the feeding efforts to occur in coming days. The Operation Blessing truck will be arriving at Living To Go tomorrow. Volunteers will be needed tomorrow (Wednesday), but times are not available until we know when the truck arrives. If you are available tomorrow morning to unload the truck, let me know, and I can contact you at the “last minute” to participate. We are communicating with other churches and ministries to play our role in the immediate and long-term needs.